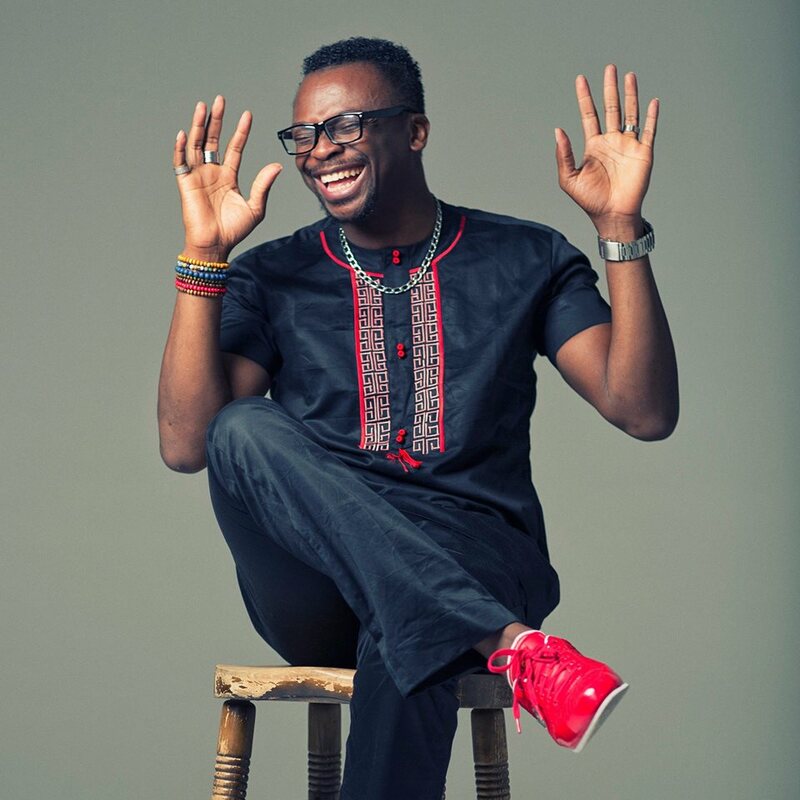 Akinwunmi Akiremi aka Florocka has asserted that contrary to popular opinion, being a secular artist or singing secular songs is not sin. The singer, songwriter, producer, sound engineer, and legal practitioner, speaks on his gospel music career and many more in an interview with Michael Abimboye of Naij.com. Is gospel music a genre? Gospel Music falls within the sub list of ‘Inspirational Music’. There seems to have been a great misconception about ‘Gospel Music’ as a whole. Quite a huge number of people in Nigeria do not understand that Gospel Music is a genre (as an art), which is also a form of musical expression. At the mention of the word ‘Gospel’ many people thinks – religious music bereft of artistic expression. Gospel Music isn’t just about expressing Christian belief systems and ideologies in ‘Christianese’ as I like to call it. Christian doctrines cover a multitude of situations and topics which include friendship, forgiveness, malice, money, marriage, relationships and several more. In fact, the basis upon which Christianity thrives is ‘LOVE’. That an artist willfully decides to sing about money, relationships or love does not necessarily make them non-Christians bereft of the understanding of the ‘Gospel’. What is your impression of the Christian music industry in Nigeria? I see the Christian music industry as one under a ‘very’ slow development. The expressions given to Christian music is yet to find multiple and unrestricted delivery. Christian music should be inspiring, but majority of the songs being churned out today are very similar in composition and delivery. Everyone seems to either be speaking about how blessed they are or how great God is. There is so much more to sing and share about lyrically. Music is a GLOBAL language and as such every singer must see to it that they develop the flare for a GLOBAL EXPRESSION. Most Christian singers are yet to find the ‘artistic’ expressions to their gifting. Until then, many more people will perceive Christian music to be one sided and boring. It sometimes seems that most singers focus their lyrics and delivery on the ‘CHURCH’. Unfortunately that is not the mandate given to every believer. Christians are to take the ‘good news’ unto the ends of the earth – not just the believers but also non-believers. I suspect that the reason why most Christians have not been able to take the good news mainstream is pure – laziness, not for lack of funds or sponsorship. Composing music for ‘mainstream’ involves a different blend of anecdotes. The non-Christian individual does not understand ‘Christianese’, and he will not apply his hard earned money to a product that does not resonate with him. That there is the problem with Christian Music especially in Nigeria. The reason it seems as though other music genres sell more than Christian music is simply for the fact that the expressions given to Christian music is very limited. Until Christian singers are able to develop the artistry of applying their skill to composing differing topics which the average human being can resonate with, it will remain what it is – boring. Christian music must address not just ‘spiritual’ issues but also physical, emotional and social issues. Only then will the Christian music industry get the traction it so desires. What made you decide to project your brand into mainstream? I believe that the church is over-saturated with content. I personally believe that we are selling ourselves short. A lot of teenagers and young adults rarely ‘always’ get interested in ‘magnified spiritual music’. Majority of the songs they tend to listen are songs that resonate with their thought processes or situation. Mainstream music is not a SIN (contrary to many perceptions evenly distributed within the Christian community). Mainstream music covers a wider perspective to music. Mainstream music is exciting and interesting. Life is made up of various seasons. An individual who finds himself in a season of love will search for songs that resonate with his feelings; likewise an individual who is in a season of emotional upheaval will tend to listen to songs that will speak reassurance and healing to his or her heart. The type of songs which a newly married couple would love to listen to during their honeymoon will be difficult to find in Christian music, especially when they intend setting a very romantic mood. I realized that the impact my music was making, was almost restricted to Christians. There is a lot God wants to share with the world through my music and it’s not just Christians He intends to address. And so projecting into mainstream music for me is a very worthy venture and one long overdue. I am a Christian and I have consciously decided not to limit the expression of my music to the church, I am focusing on obeying God’s word – which is taking the Gospel to all nations of various tribes, tongues and religion. From a producer’s perspective, what is your assessment of music production in Nigeria? The Nigerian music production has improved greatly. There is more expression within the genres of music being churned out these days especially from the mainstream artists. More versatility is being shown from time to time but I have a HUGE problem with the quality of the mixes and mastering of the songs. The poor mixing and mastering techniques applied to these songs tend to limit the expression of the creativity of most producers. The lyrics and rhythmic patterns of the songs are expressive and interesting, but the mixes simply don’t do justice to the songs especially when the album has the workings of various music producers. I attribute this anomaly to the in cohesive technical experience of the mixing and mastering engineers behind most of these songs. There is still a need to attain a GLOBAL standard. There’s no point writing a fantastic song produced by a great music producer and the world can hardly hear the creativity embedded in the song. I liken it to a dish that tastes like any other dish than that which it ought to be. Most mixing and mastering engineers in Nigeria need to be educated and trained in the art of mixing and mastering. You’ll be amazed at the perception you have towards a song when all the elements in the song are audible to the exclusion of no tonal element. Which Nigerian producer’s work do you admire? I admire the works of quite a few producers. Some of include but are not restricted to Mosa, Cohbams Asuquo and Rotimi Keys. I love the production on Reminisce’s ‘Gbamilago’ by D’Tunes. The groove is simply winding!